borderline europe - menschenrechte ohne grenzen e.v. 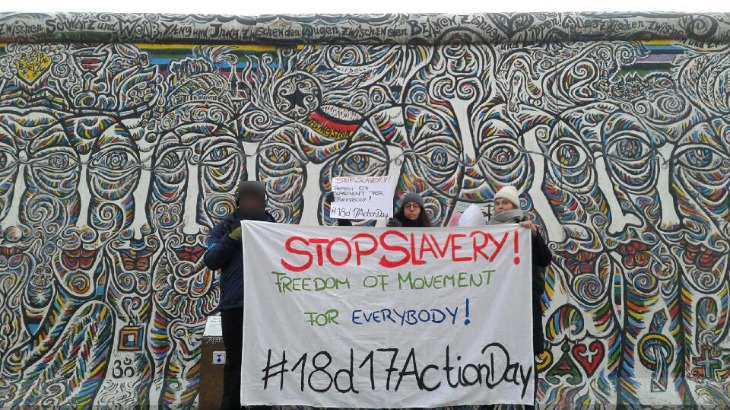 Internationaler Tag der Migranten in Berlin #18d17ActionDay | borderline europe - menschenrechte ohne grenzen e.v. On 18.12 we gave a face to the protest against the criminal border policy of Fortress Europe with our photo campaign. We demand that the financing of the Libyan Coast Guard be stopped immediately! We demand an end to slavery and the internment of the people! We demand legal escape routes, health care and protection for all people who are victims of the European isolation! We demand freedom of movement for all!